2mm zinc plated chain is sold in 1m lengths complete with “con” hook (open large bow) at each end. Numerous lenghts can be attached to each other to form the length required. Warehouse Rack Signs, Signage, School & Library Document Display, Signage. 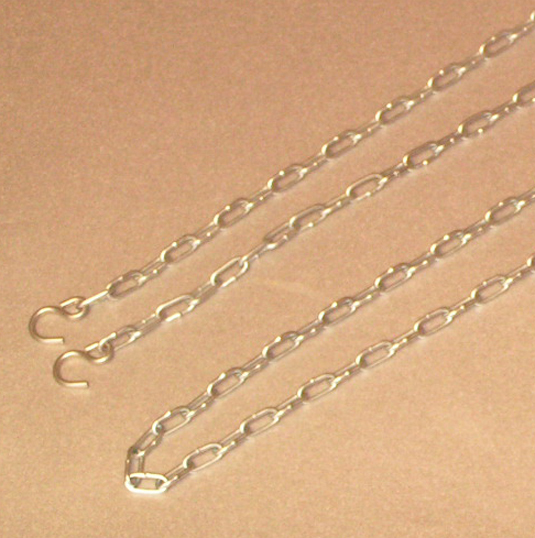 2mm zinc plated chain is sold in 1m lengths complete with “con” hook (open large bow) at each end. Numerous lengths can be attached to each other to form the length required. Ordering info – if you require a hanging length of 2m you would require 2 x “1m x 3 lengths” – you would be supplied with 6 x 1m pieces to create 3 x 2m lengths.